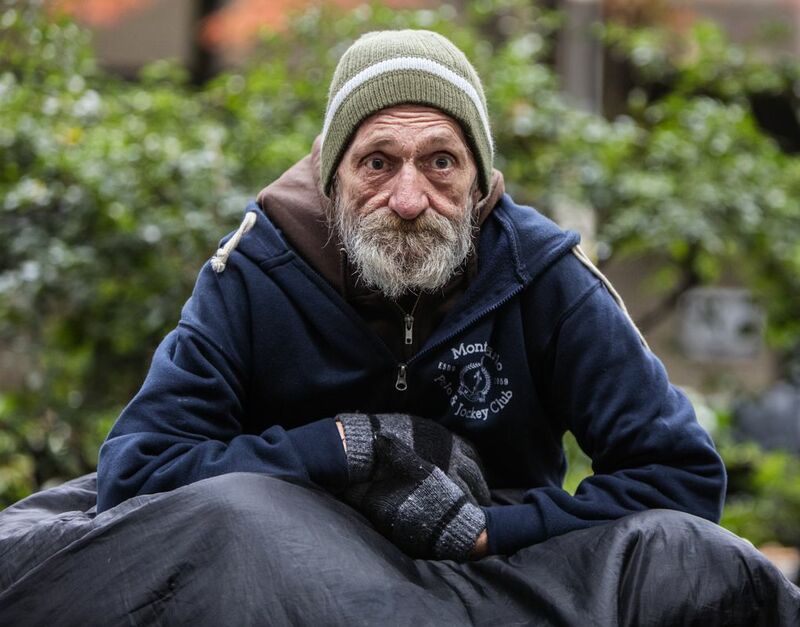 Times Watchdog | Dozens of handwritten notes from the city’s Office of Civil Rights illustrate the troubled and sometimes dangerous sweeps of homeless camps across the city. Seattle’s efforts to correct flaws in its approach to cleaning the city’s homeless camps got off to a slow start. 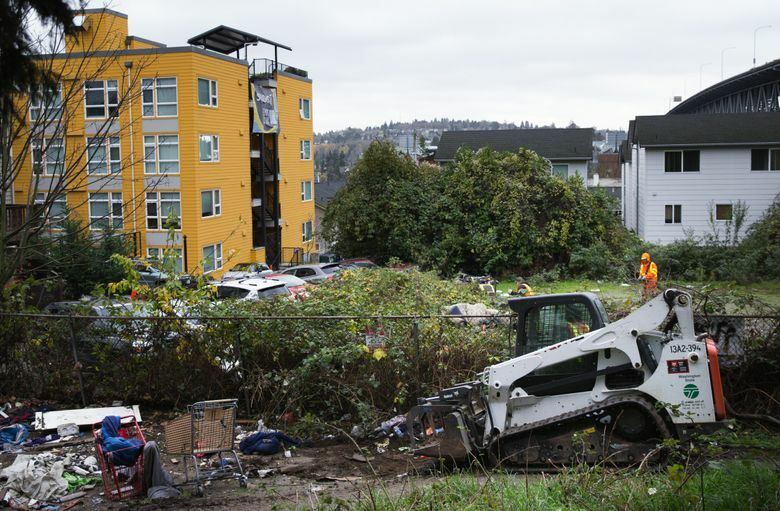 From September to early November, the city conducted 26 cleanups, four of which were halted by monitors from the city’s Office of Civil Rights when protocols were not followed, according to the observers’ handwritten notes reviewed by The Seattle Times. Two were stopped after the Seattle Police Department officers assigned to provide security during the cleanup left, the notes state. Another two were called off before they began when monitors found campers weren’t given proper notice about the cleanups. A fifth cleanup was shut down by Washington State Department of Transportation officials after they realized the city permits needed to park department vehicles and heavy equipment had not been secured. The sweeps, which are under scrutiny by city officials, remain a central part of the city’s strategy to ease Seattle’s homelessness crisis. But Seattle’s struggle to carry sweeps out humanely, while coordinating the multiple local and state bureaucracies involved, drags on. An August Seattle Times report documented the city’s struggles. It illustrated miscommunications between city agencies that in some cases left outreach workers, camp residents and work crews unclear of when some sweeps were scheduled to begin. Some campers’ said they’d lost belongings like identification cards and personal keepsakes as workers cleared the camps, the report found. 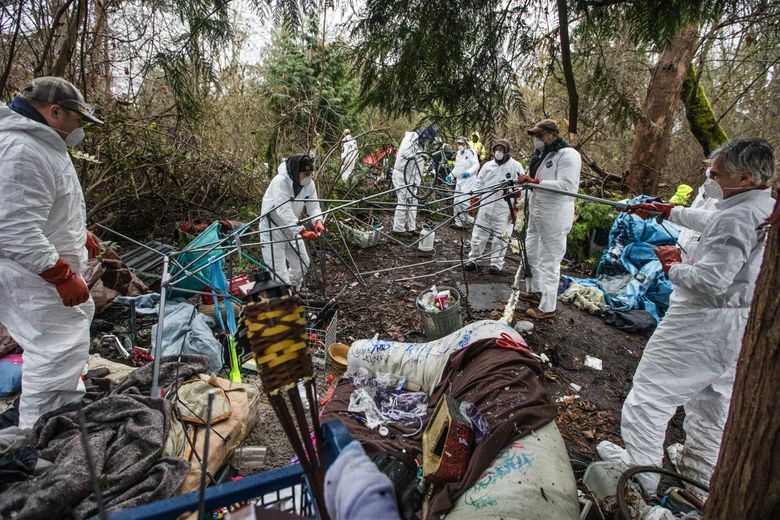 In a July 29 letter to the City Council, Mayor Ed Murray acknowledges flaws with the encampment sweeps, telling members he would convene a task force to examine the cleanup process. 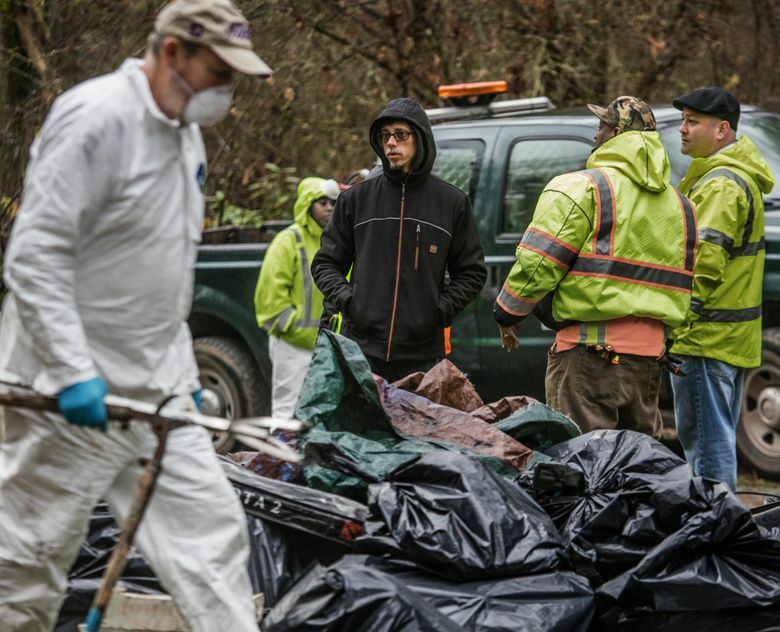 After The Seattle Times report was published, Murray announced that civil-rights observers would monitor each scheduled sweep to enforce cleanup protocols and to help coordinate outreach to camp residents. “It is our responsibility to ensure these cleanups are done right and done in a way that serves the needs of people living in these areas, who are enduring extremely difficult circumstances,” Murray said in August. As the mayor’s task force began its work, the city’s difficulties continued, records show. At a cleanup in Pioneer Square on Sept. 13, police officers assigned to provide security left about halfway through the sweep when the sweep began “taking too long,” the monitor’s notes state. The cleanup was halted as a result, frustrating the outreach workers who “lose credibility” with campers, the notes state. 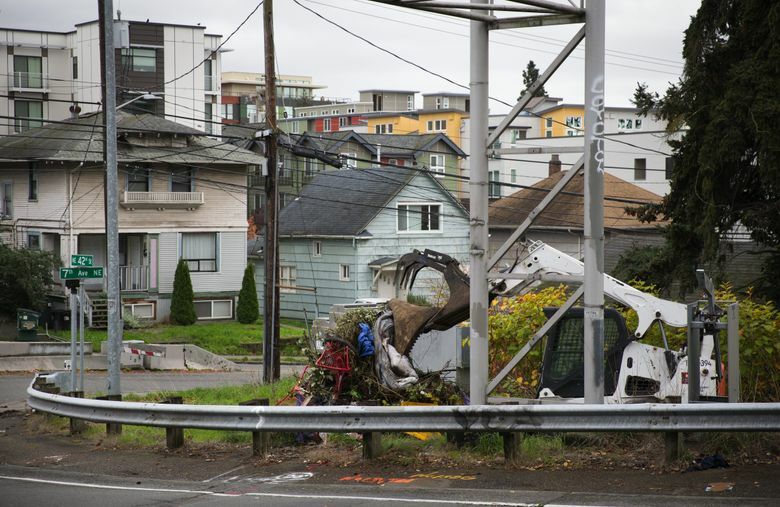 A Sept. 27 cleanup underneath the Jose Rizal Bridge, which connects Beacon Hill and the Chinatown International District, was temporarily halted when officers left the camp without notifying city workers, records show. Officers have been accompanying camp-cleanup crews since at least 2008, when guidelines were approved. The officers’ role is to provide security during the sweeps, which according to monitoring records periodically turn up weapons among the campers’ belongings. In October, a knife-wielding man was shot and killed by police in The Jungle as crews worked to evict the remaining holdouts of the trouble-plagued camp. Later in the month, Mayor Murray released a report outlining several changes to the city’s cleanup process, including dedicating six more police officers to the city’s homeless outreach efforts and appointing a director to coordinate the cleanups. City officials expect to have the changes in place in January. The Office of Civil Rights sent a memo to Councilwoman Lisa Herbold in October after she had inquired about the city’s monitoring of camp cleanups. The memo obtained by The Times acknowledges the pending reforms, while also pointing to “continuing frustration” among city workers at the lack of coordination between the city and state agencies involved in the sweeps. Some of the city’s largest camps are located on slivers of land underneath and along highways owned by the state. And coordinating state work crews to clear the areas of trash left behind by homeless campers remains a challenge. 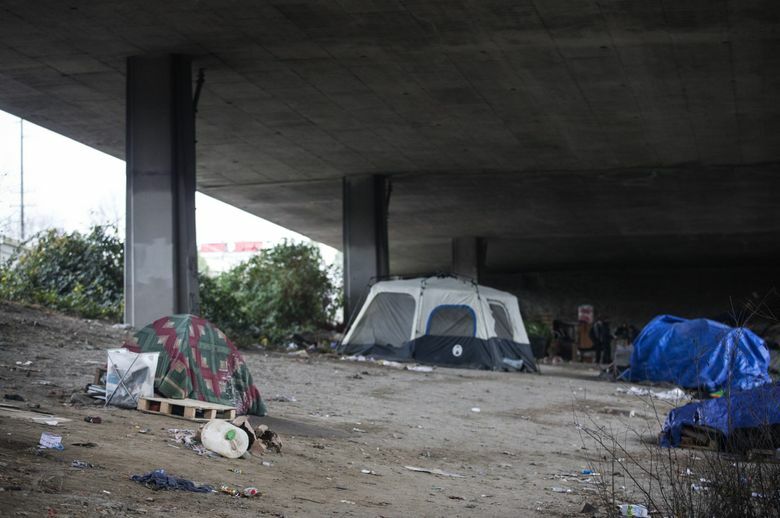 During a November sweep, state crews arrived at homeless camp about an hour after the sweep was scheduled to begin, according to a civil-rights monitor’s notes. 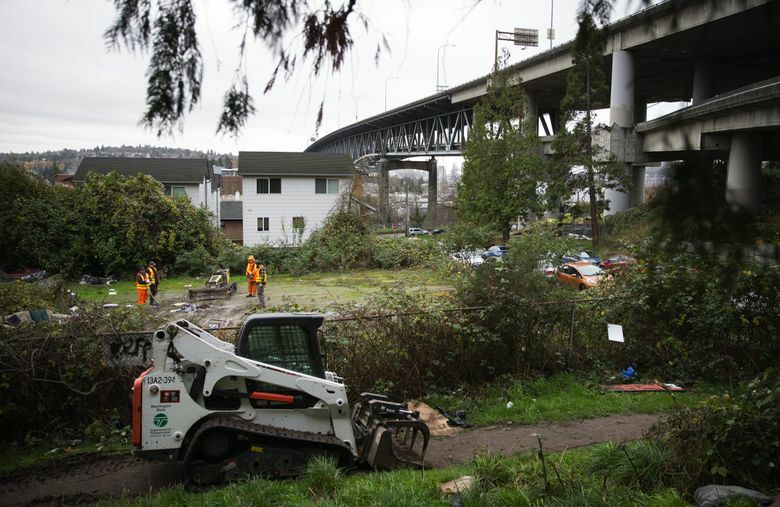 Monitors at an earlier cleanup of a camp under the Interstate 5 overpass in Ravenna noted that state work crews were “resistant” to removing trash found in the camp. The notes also state that after crews began the cleanup, workers threw items and trash down a ledge, creating a hazard for pedestrians. “WSDOT a hott mess! !” the monitor wrote, apparently using a slang term to describe something in disarray. Dave McCormick, maintenance administrator for WSDOT, disputed the monitors’ characterization. Newly hired director of homelessness George Scarola did not respond to requests for comment, but city spokeswoman Julie Moore said via email that improvements outlined by the homeless-camp task force, including adding more police, are still in the planning stages.